Patapsco Buoy Data from this site is currently unavailable. Susquehanna Buoy Data from this site is currently unavailable. Times displayed are based on MD - chesapeake local time. 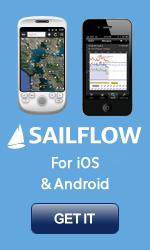 Click site name for wind graphs, tides, local info, sensor notes, and more. Red asterisk (*) indicates precision WeatherFlow sensor installed, calibrated, and maintained by WeatherFlow -- the best wind information available. In addition to our exclusive WeatherFlow network of weather sites, additional data may be displayed on this page courtesy of the National Weather Service (NWS), National Ocean Data Buoy Center (NODC) and numerous additional institutions. For credit information on non-iwindsurf sites displayed on this map, please click on the site of interest.